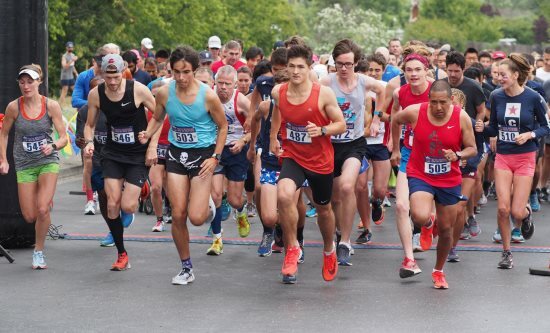 Campolindo's Cross Country and Track and Field programs along with title sponsor Kirsten Buckley Real Estate hosted their 22nd Annual Moraga Fourth of July Fun Run last week to kick off the town's holiday festivities. 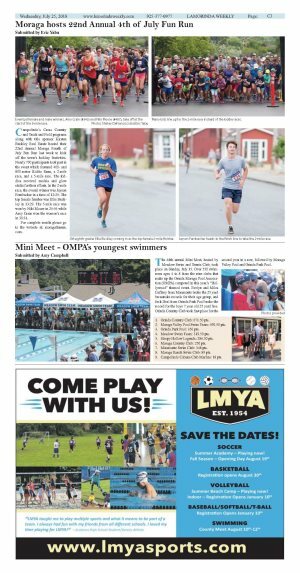 Nearly 700 participants took part in the event which featured 400- and 800-meter Kiddie Runs, a 2-mile race, and a 5-mile race. The kiddies received medals and glow sticks for their efforts. 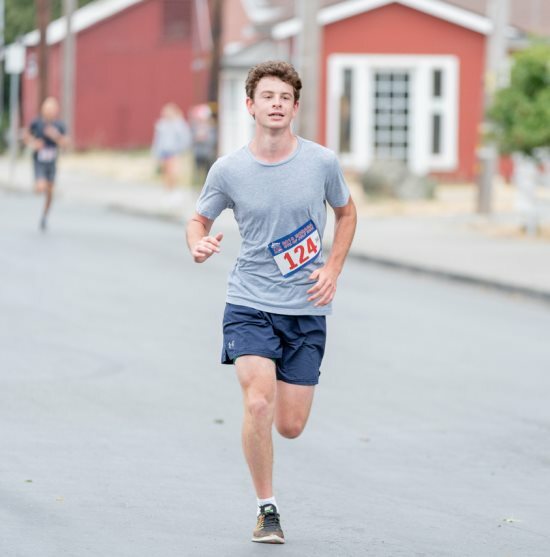 In the 2-mile race, the overall winner was Jayson Fernbacher in a time of 12:25. The top female finisher was Ellie Buckley in 13:29. The 5-mile race was won by Niki Moore in 25:54 while Amy Crain won the women's race in 30:31. For complete results please go to the website at: www.moragafunrun.com. 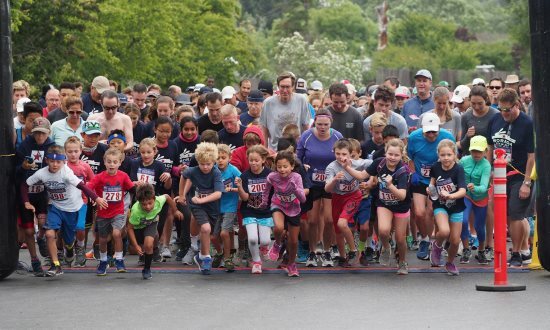 Many kids line up for the 2-mile race instead of the kiddie races. 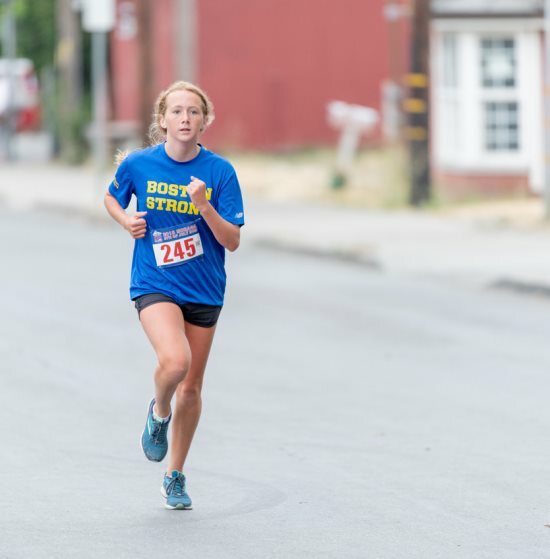 JM eighth-grader Ellie Buckley coming in as the top female 2-mile finisher. Jayson Fernbacher heads to the finish line to take the 2-mile race.